Codes or Descriptions in your Free Purchase Order Software? 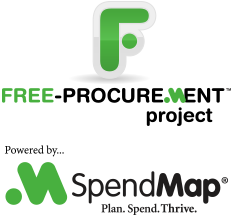 Throughout SpendMap, when creating Purchase Orders and working in other areas of the system, you will select master file “codes”, such as GL account codes, item codes (part numbers), supplier codes, etc. For example, your GL account code for “office supplies” might be “0-663-1”, or something like that, which might not be very meaningful to your SpendMap users. If you use meaningful codes that make sense to your users, don’t bother reading the rest of this post and just get back to saving your company money or whatever you were doing.